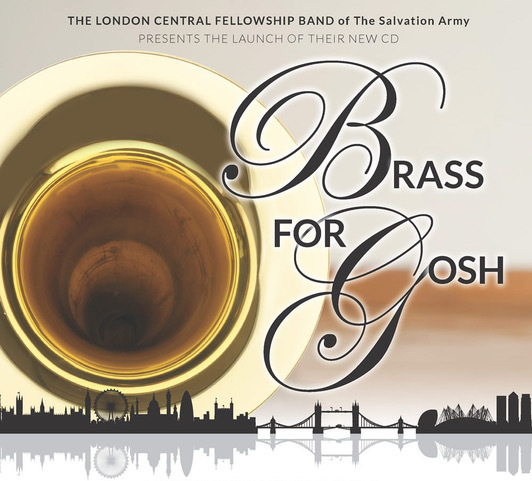 The London Central Fellowship Band (Bandmaster David Rudd) launched their latest recording with a concert at Regent Hall on 17 November 2018. Just under 300 people were in attendance for a fantastic night of music-making, raising funds for the Great Ormond Street Hospital (GOSH) Charity. 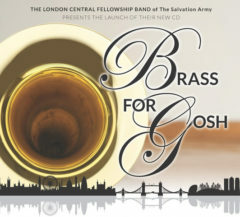 All of the profits realized by Citadel Promotions, the producers, will benefit the hospital charity, leading to the title of the recording, Brass for GOSH. The GOSH Staff and Parent Choir was in good form, under the leadership of Naomi Hammerton. The young guest soloists, Tom Nielsen, Charlotte Hill, and Lucy Northwood (replacing Abigail Johnson, who sadly had no voice to sing), were excellent. The compère, Malcolm Corden, was very engaging in leading the evening. The audience was amazed to view a live video link with Michael Bublé and his 2-year-old son, from the airport, enhancing the occasion as he gave support for for this most worthwhile of causes. In addition, there was also a surprise video from James Corden, also giving support for the evening. The Fellowshp Band’s Executive Officer, Lt.-Colonel Peter Dalziel, brought the evening together with his message on Christian love and the good work performed by the staff of the hospital. The result of the evening, after all costs, was a £2,000 donation to GOSH. The recording contains popular items, as well as newly commissioned music from Kenneth Downie and Paul Sharman. It is available by email order from treasurer@lcfb.org.uk, £11 plus £1.50 UK postage and packing. This article was posted in New Releases, News, Recording and tagged Abigail Johnson, benefit, Charlie Green, Charlotte Hill, Citadel Promotions, concert, David Rudd, David Thomas, GOSH Staff and Parent Choir, Great Ormond Street Hospital, Jmes Corden, Kenneth Downie, London Central Fellowship Band, Lucy Northwood, Michael Buble, Naomi Hammerton, Paul Sharman, Peter Dalziel, Regent Hall, Tom Nielsen on 3 December 2018 .